Amazon has a wide array of books about French language and culture & French learning software. In these two classic cookbooks first published in 1961, Julia Child introduced America to the art of in-home French cooking. In these well-established volumes, the reknowned culinary instructor also shares her wealth of knowledge on cooking in general, from the simple to the most advanced techniques. Line drawings and detailed explanations make the recipes easy to follow. This is a set of cookbooks no kitchen should be without. Bourdain brings classic bistro cuisine within reach for any competent home cook. The celebrity chef delivers traditional fare from Onion Soup Les Halles and Steak au Poivre to Coq au Vin and Chocolate Mousse with clear instructions and his signature sassiness. While not everyone will appreciate the lewd manner of expression that sets his cookbook apart from others, his bold language does add colorful variation to nearly every recipe. In this book, the owners of one of Chicago's finest and most popular restaurants make preparing nouvelle French cuisine at home both comfortable and enjoyable. It offers exquisite recipes for an array of foods: amuse-bouches, appetizers, soups, salads, entrées, restaurant specialties, desserts, and more. Recipes include such delights as Mushroom and Truffle Cappuccino, Lobster Risotto Milanese, Jicama-Melon Salad with Belgian Endive and Apple-Basil Sauce, Lamb Gateau with Ratatouille, and Gingerbread Cake with Whipped Cream and Plum Coulis.Also included are expert wine tips to accompany many of the dishes. This book is a companion volume to the PBS series of the same name. Based on the vast experience of these chefs, the book takes a she says/he says approach to home-style French cooking: While Julia prefers to remove the "ugly" dark vein in shrimp, Jacques considers it "perfectly good protein". Julia gives her poultry a butter bath before putting it in the oven to roast; Jacques likes to bake the bird on its side for all but the last 15 to 20 minutes. What comes through is that there is no one right way too cook. In each chapter -- divided into appetizers, soups, eggs, salads and sandwiches, potatoes, vegetables, fish, poultry, meats, and desserts -- the chefs add contemporary twists and time-saving tips to familiar Franco-American classics like the omelet, soufflé, and crème brûlée. Their recipes and sound practical advice are evidence of their culinary expertise as well as their philosophy that "eating, as well as cooking, should be pleasurable and guiltless." This chef's passion for vegetables is at the base of these 150 French-style recipes that range from traditional to unusual and innovative. Vegetarians, the health-conscious, and anyone looking for new ways to prepare vegetables will appreciate the diversity of dishes Vergé serves up. Such delights as Spinach-Coconut Flan, Sun-Drenched Vegetables, and Turnip Cakes with Cardamom ensure stimulation for the taste buds. One entire chapter is devoted to sauces that enhance and complement vegetables. Also useful are the chapter on cooking techniques, the chef's wine recommendations, and instructions on choosing the best ingredients. The more than 70 recipes included here include a wealth of knowledge and experience from a team of bakers and pastry chefs. Traditions and techniques of various French regions come together here with secrets from generations-old family recipes. The results speak for themselves: Rich, chewy, dark breads like Pain au Levain, buttery croissants, savory Quiche Lorraine, sweet fruit tarts, tempting pound cakes and poached pears are an example of the variety of delectable delights that await the home chef in this cookbook. 70 one-of-a-kind recipes collected from the top bakeries and pastry shops of Paris, including 150 color photographs. A classic that has been around since 1978. The author spent years collecting authentic bread recipes from the most esteemed bakers and boulangeries in France. Recipes are clear and thorough. Includes vignettes of French culture, history, and bread-baking lore. This comprehensive cookbook has a broad array of recipes, from classic pastry doughs and basic creams and fillings to a wide assortment of pastries, cakes, tarts, and cookies. 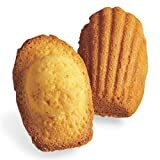 While most French pastry books of this scope are written for professionals, the clear instructions here make these culinary delights accessible to the home cook. The included culinary lore adds a touch absent from other basic texts. By her own admission, author Dorie Greenspan's most vivid memory of her first trip to Paris involved not the Eiffel Tower, the Louvre, or even Notre Dame, but rather a delectable strawberry tartlet. This book is a testament to the author's love affair with French pastries; it is also a result of her 30-year quest for the most delicious and awe-inspiring sweets Paris has to offer. How she convinced their creators to part with the recipes is her secret. Recipes for buttery cookies, chocolate fudge cake, eclairs, and more are accompanied by clear, step-by-step instructions as well as beautifully written narratives about the well-loved pastry shops from which they hail and the chefs who created them. 150 of acclaimed French-American chef Daniel Boulud's recipes have been adapted here into forms that home cooks can manage while not losing the flair of the original master. The book's 4 sections each contain a variety of dishes: "La Tradition" contains dishes influenced by the traditional cooking of Boulud's upbringing; "La Saison" consists of dishes prepared with the freshest seasonal produce; "Le Voyage" provides an array of Boulud's world-cuisine dishes; and "Le Potager" is devoted to vegetarian specialties. Over 700 recipes from Cajun cabins, plantation kitchens, and New Orleans restaurants exist side-by-side in this authoritative testament to Lousiana culture and cuisine. Clear directions for preparing everything from a roux to a cochon de lait are accompanied by recipe histories and photographs of old Louisiana. Recipes feature the best of seafood, game, meat, poultry, vegetables, salads, appetizers, drinks, and desserts. They range from traditional to truly unique. This book is a culinary journey through France, with each recipe evoking the personality and flavor of its province of origin. The book provides not only easy-to-follow instructions and beautiful photographs, but also colorful descriptions of the local heritage and gourmet traditions that influence the character of each regional cuisines. Because recipes are carefully adapted for the non-French kitchen, no complicated techniques or equipment are required. The recipes in this collection are inspired by the maritime heritage of Brittany in northwest France. Expert chef Olivier Roellinger sees the region as the melting pot of local ingredients and exotic imports brought by explorers since the 17th century. His recipes celebrate the harmony of lamb and beans, fish and potatoes, lobster and tomatoes, and the integration of other imports, such as bell peppers, pineapples, cloves, and cumin with local fare. In this book, six of the region's top chefs prepare original recipes featuring one of seven aromatic herbs indigenous to the region: thyme, rosemary, bay, sage, marjoram, fennel, and winter savory. 49 recipes and 120 photographs. This authoritative atlas of French wines gives readers an introduction and in-depth look at the 14 winemaking regions of France. Each chapter gives an overview of the region and its distinctive history along with a full-color, detailed map. Each also profiles the area's major winemakers, describes the topography, and introduces the local wineries of the area. The author introduces both beginners and wine connoiseurs to 100s of wines that together cover the geographical expanse of the French wine-producing regions. The book includes not only much detailed information about each wine, but also suggested meals to complement the wines and recommended itineraries for touring each of the winemaking regions. For wine novices, this book also includes a useful glossary of wine terminology and basic information about wine storage, serving, buying, and tasting. French cuisine is the most widely influential style of cooking. In tracing the culinary history of the French nation, this book reveals the accidents of history that led to the development of a specifically French cuisine that is widely accepted as the apex of fine and cultured cooking.